Auburn University Head Baseball Coach John Pawlowski's previewed the start of regular conference play for the current baseball season. This year represents Pawlowski’s fifth as head coach. He reviewed the team roster and outlook for games against key SEC competitors. 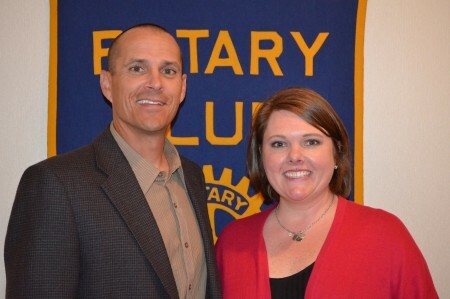 Pictured with Coach Pawlowski is Club President Martee Moseley.